Intertops Poker and Juicy Stakes Poker have sent another four online satellite tournament winners to a big money live tournament! This weekend, Tim O'Keefe, John Curcuru, Joan Sandoval and Ashley Hine are at the $500K GTD PPC Aruba tournament. 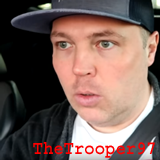 Poker vlogger TheTrooper97 is with them this time. He'll be covering the event and players with YouTube videos featuring live play, behind the scenes footage, player hangouts, interviews and hands of the days. The Main Event of the PPC Aruba begins today and continues until November 7th. News updates and TheTrooper97’s videos will be published in Intertops poker news. I've been to several tournaments with Tim O’Keefe, who flew in from Texas. Poker mom Ashley Hine also came from the Lone Star State, bringing her family with here to enjoy the great beaches of Aruba. John Curcuru, a Las Vegas poker pro who I just hung out with at the Punta Cana Poker Classic, joined the Intertops group in St Maarten this spring. He placed 5th in Punta Cana last week winning $34K. Joan Sandoval couldn’t get time off her day job until yesterday but dove right in when she got there today. All four online satellite tournament champions won $4,000 prize packages that include $2,400 buy-in to the Main Event and accommodation on Palm. Their prize packages also include travel expenses, one $200 tournament buy-in and one $300 buy-in, as well as Intertops or Juicy Stakes gear and dinner and a night out with the Intertops/Juicy Stakes team.